To the west India has been always a source of mystery. Christopher Columbus wanted to discover a route to India and instead his ships reached the shores of America. From that time the western people have heard numerous tales about the Indian subcontinent. Some philosophers (Schopenhauer), poets (Walt Whitman), linguists and scholars (Maxmullar and William Jones) and even musicians (George Harrison of Beatles) have been greatly influenced by the Indian philosophy and mysticism. What makes George Harrison so special from others is that not only was he influenced by the mysticism of the East, but also he also played a very active part in helping the common people of the east. By using the mysticism of the east he added a new flavor to his music as well as in the music of The Beatles as a whole. He used Indian musical instruments in his music and he especially loved the sitar. He learned to play sitar from the great Indian musician, Pandit Ravi Shankar, who was among one of his closest friends. He inspired the other Beatle members to go to India to get acquainted Transcendental Meditation, as well as yoga (a form of exercise through meditation), and in 1971 he helped to organize The Concert For Bangladesh to raise money for the war stricken people of Bangladesh (a country in South Asia) who were fighting for their freedom. The people of Bangladesh still remember him as a hero who helped them in their greatest time of distress. George Harrison was known as 'The quiet Beatle' and if you go to India, China or Japan the first thing you will notice is that being quiet (or modest) is a quality which is respected widely. Aggressive expression of self confidence is considered to be almost a sin in this part of the world. There is no room here to be egoistic in the society. Even the celebrities have to follow this norm. 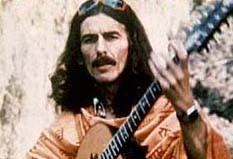 Later when George Harrison came to India and met Maharishi Mahesh Yogi he found a sense of meaning to his life and later he accepted the Hare Krishna tradition and tried to live a plain and simple life. He deeply believed in the principles of Hinduism and when he died he left a staggering amount of 20 million pounds for the International Society for Krishna Consciousness(ISKCON). Thus George Harrison found peace and comfort in the Indian way of life. The west is often seen in the east to be much too materialistic. The Asian people feel that the Western people have no family value or sense of morality, and that they will do anything for money. To Eastern people, no matter how much they may crave money and wealth, the ideal thing for them is to lead a spiritual life by chanting mantras. George Harrison tried to follow this kind of life, with prayer and meditation. The sound of the sitar brings a sense of silent peace and it is really melodious. 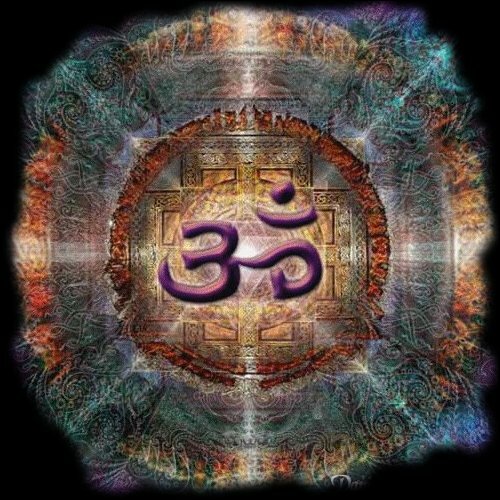 This musical instrument creates harmony and prepares the mind for meditation. Frotunately, George Harrison learned sitar from the greatest sitar player of our time, Pandit Ravi Shankar, who is equally popular in the east and the west. The Hindu belief is in life cycle, which means that this life is just a continuation of our previous lives, and we get the result of our deeds (Karmas) in the next life, which will happen after our death. The philosophy of George Harrison can be summarized in these words, "With many lives our association with the TEMPORARY has grown. This impermanent body, a bag of bones and flesh, is mistaken for our true self, and we have accepted this temporary condition to be final." (source: http://www.krsnabook.com/george/). Any person who would read these words would feel that it came from a great Indian saint, not from a European musician. A closer look at his songs will reveal that many of his songs were inspired by Hinduism. The Hare Krishna Mantra, My Sweet Lord, All Things Must Pass, Living in the Material World and Chants of India- all of them directly reveal that he was greatly inspired by Hinduism, especially the Krishna philosophy which advocates love to God and love to humanity. His song "Awaiting on You All" glorifies yoga, which is not just doing exercise for better health, but a form of exercise that combines body and soul through physical exercise and spiritual meditation. The song "Living in the Material World," seeks a deep craving from the materialistic world of the west through complete devotion to Lord Krishna, the creator of the world according to Hindu belief. "That Which I Have Lost" from the album Somewhere in England reminds the listener of the principles of Gita, the sacred book of the Hindus." 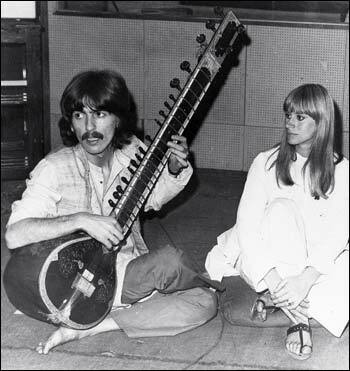 All these songs reveal a deep rooted love towards Hinduism that existed in George Harrison. George Harrison inspired his generation with his songs. He wanted to do something to inspire the people and surely he was very successful. If there is indeed a next birth surely the Almighty Lord Krishna would reward him highly for his contribution to humanity. "You know what irritates me about modern music, it's all based on ego," George said. "The Beatles," he said, "had a value which will last forever." Prabhupad said "Come in, come in" and George edged forward towards Prabhupad's desk, very shy and respectful. Prabhupad said "No, here, here" and patted the asana he was sitting on. George came around his desk to the edge of his asana, and Prabhupad reached out and pulled him into his chest, hugging him, laughing, messing up his hair, and saying, "It is so good to see you. How is Patty?" The Concert for Bangladesh was the first benefit concert of its kind in that it brought together an extraordinary assemblage of major artists collaborating for a common humanitarian cause-setting the precedent that music could be used to serve a higher purpose. The concert sold out Madison Square Garden and has helped to generate millions for UNICEF and raised awareness for the organization around the world, as well as among other musicians and their fans. It is acknowledged as the inspiration and the forerunner to the major global fundraising events of recent years. To quote the United Nations Secretary General Kofi Annan, George and his friends were pioneers. All artists' royalties from the sales of the DVD will go to UNICEF. This 2-disc collection includes the original 99 minute film restored and remixed in 5.1, 72 minutes of extras featuring a 45 minute documentary The Concert for Bangladesh Revisted 2005 with George Harrison and friends, about the background to the two shows with exclusive interviews and contributions from United Nations Secretary General Kofi Annan and Sir Bob Geldof. Also included in this collection are previously unseen performances: If Not For You, featuring George and Bob Dylan from rehearsals, Come On In My Kitchen, featuring George, Eric Clapton and Leon Russell at the sound check, and a Bob Dylan performance from the afternoon show of Love Minus zero/No Limit not included in the original film.